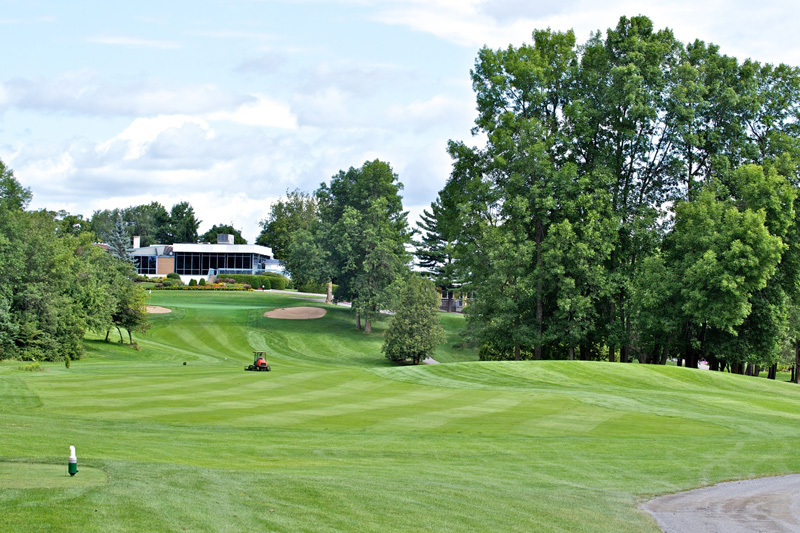 Club de golf Le Diamant is one of the mature classic golf courses in Québec. Like all these courses, its design demands the use of each and every club in the bag and requires the golfer to make the most of his skills. Our tee boxes are set to address all categories of golfers, beginners, experts, women, men, seniors and juniors. New tee boxes will shortly be added to fit everyone’s game. We also have a green and a sand trap where you can practice your approach and sand shots. The putting green is located next to the club house and pro shop, a few yards away from the first tee.